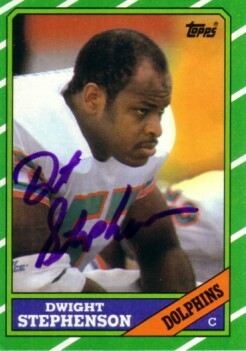 1986 Topps card autographed in purple marker by Miami Dolphins Hall of Fame center Dwight Stephenson. With certificate of authenticity from AutographsForSale.com. ONLY ONE AVAILABLE FOR SALE.